Click here to watch a video and learn why YardPup is the best solution! View photo gallery of some of our happy customers! YardPup is available on Amazon and other fine retailers! YardPup® is the best product on the market for fast, clean, and easy yard cleanup. Simply Durable - All steel construction. No moving parts. Easiest to Clean - No springs or hinges to clog up. 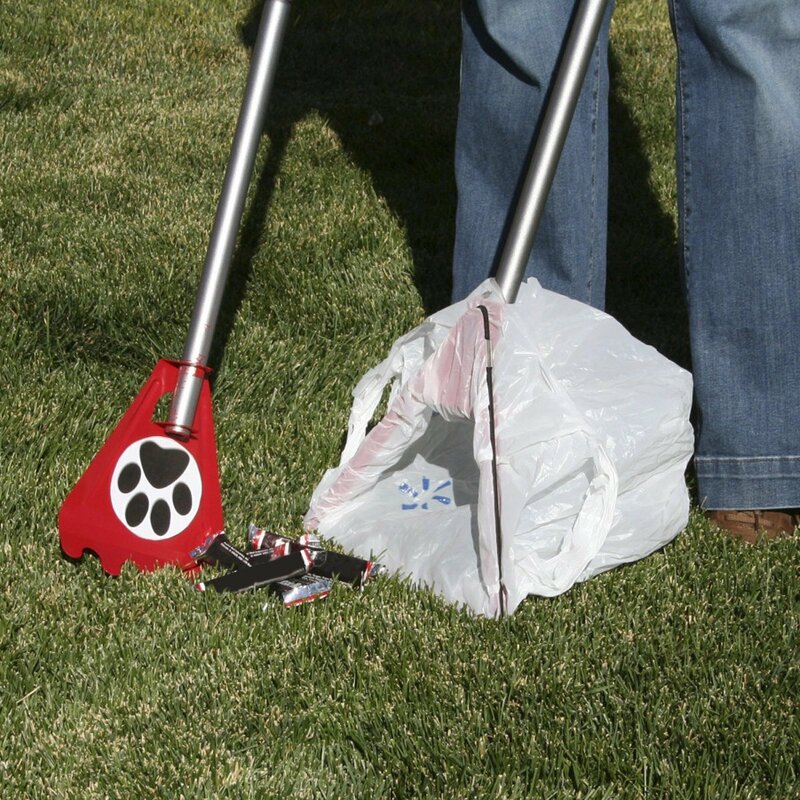 Easiest to Use - Use YardPup® while standing up with one hand holding the rake and the other holding the handle for the bag. No need to bend over to hold a bag open. Versatile - The “Little Paw” is a 4 in 1 tool for different types of terrain (rake, scraper, chipper for snow and ice, and corner flipper for mulch or rock areas). Use YOUR Own Bags - Now you can use nearly any bag you already have such as paper dog food bags, plastic grocery bags, and for big dogs, even a big kitchen bag. Rather than throwing bags away reuse them with Yard Pup®. Use One Bag For Days - The patented open-frame design allows you to use one bag for multiple days, using less bags in the long-run. Recyclable - All steel construction means Yard Pup® is 100% recyclable. Saves Money - No expensive bags that you have to keep buying – ever! You are free to use whatever you have.